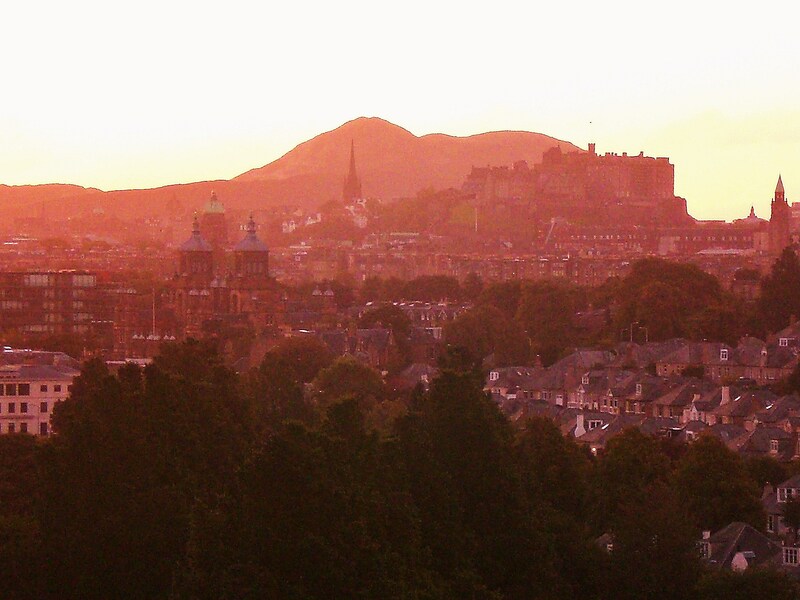 I am starting to plan another trip to Scotland in September of 2015. So, this morning when thoughts and mental pictures of Scotland swirled through my mind as I was waking up, I attributed it to the research I have been doing. As clarity arrived along with the orangey-pink light of the sunrise, I realized that the “Scottish Fantasy” symphony was playing on the radio. I’m sure that had quite a bit to do with the imagery in my mind. 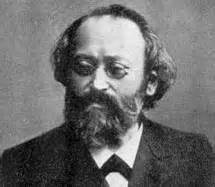 The German composer/ conductor Max Bruch (1838-1920) never went to Scotland, but wrote the “Scottish Fantasy” while he was in England as director of the Liverpool Philharmonic Society, so perhaps he had heard enough of the Scottish folk songs to be able to write the symphony in homage to them. The first movement, to which I awoke this morning, is based upon “Auld Rob Morris” or (“Through the Wood Laddie“) and reflects (to me, anyway) the softness of the Scottish landscape and the sadness that is its history. The other three movements become very lively, incorporating variations of traditional melodies with the violin taking on the part of the bagpipe. Other folk songs that are heard in the piece are “The Dusty Miller“, “I’m A’ Doun for Lack O’ Johnnie” and “Hey Tuttie Tatie” (also known with the Robert Burns lyric as “Scots Wa Hae”). The Felix Mendelssohn (1809-1847) “Symphony #3—‘The Scottish’ ” also starts out slowly and builds to incorporate the essence of Scottish music, but does not actually include any. 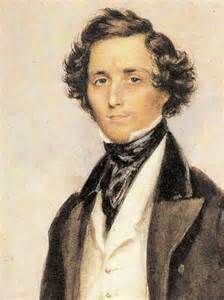 Unlike Bruch, Mendelssohn visited Scotland, and loved it. His first inspiration came from a visit to Holyrood after which he wrote in a letter, “I believe that I have found there today the beginning of my Scotch Symphony.” and later, “It is in pictures, ruins and natural surroundings that I find the most music.” A couple of weeks later, a trip out to the Hebrides inspired him to start writing “The Lonely Island” which ultimately became the “Hebrides Overture” , also known as “Fingall’s Cave”. It is a musical portrait of the stormy seas and the sense of solitude he experienced in the Western Isles. It is the second movement of his symphony that reflects the spirit of Scottish music. Because of the thematic connection of the four movements, Mendelssohn specified that all had to played without any break between them. In 1891, composer Claude Debussy (1862-1918), who had never been to Scotland, was commissioned by Scottish General Meredith Reid to write a march which was to be based upon the traditional melody of Clan Ross. The music was originally for piano four-hands, and was originally titled “March of the ancient Earls of Ross”. 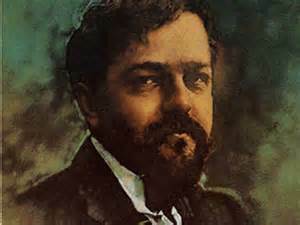 In 1908 Debussy orchestrated it. More fanfare and fantasy that pomp and circumstance, the “Marche écossaise sur un thème populaire (Scottish March on a Popular Theme)” was somehow a disappointment to Debussy, but still it lives on. Franz Joseph Haydn (1732-1809) spent much of his life in a remote palace in the Hungarian countryside, but did visit England and fell in love with it on his first visit in 1791. 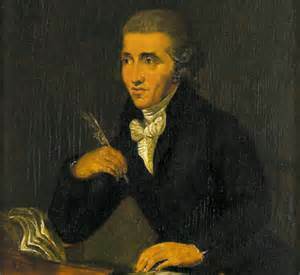 Over the years, Haydn set 429 Scottish and Welsh folk songs to music for London-based Scottish publisher William Napier between 1792 and 1795. 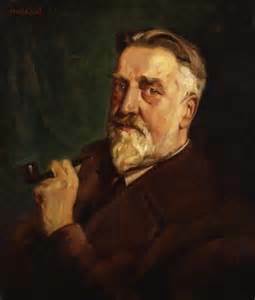 Granville Bantock (1848-1946) was the son of an eminent Scottish surgeon. Although he was born in London, he drew his inspiration from the Celtic culture and the landscape of Scotland. His “Hebridean Symphony” celebrates the remote islands of the Scottish Highlands, working folksong into a symphonic framework. In more modern times, the composer Malcolm Arnold (1921-2006) composed his “Four Scottish Dances” in 1957. The four dances were inspired by Scottish folk tunes and dances. Each piece is intended to evoke the music of Scotland and along with the rhythms of the Reel and the Scotch Snap, he made use of instrumental sounds to represent the bagpipes. In 1955, he composed the “Tam o’ Shanter Overture”, programme music that was based on the poem by Robert Burns. 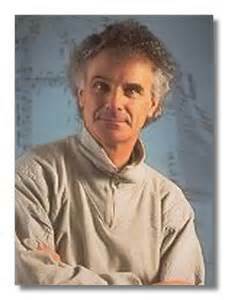 English composer/ conductor Peter Maxwell Davies (1934- ) moved to the island of Orkney in the late 1971 and has written music based in Scottish, and more specifically Orcadian themes, featuring the bagpipes in his “Orkney Wedding, With Sunrise”. His piano interlude “Farewell to Stromness” (about which I have previously written) was written as part of a longer piece written in protest of plans to mine uranium near Stromness on Orkney. My favorites of all of these are the “Scottish Fantasy” and the “Hebrides Overture”. I have yet to see the Hebrides and am excited to be going this next time. The Hebrides are 40 or so islands that are off the Western (Atlantic) Coast of Scotland, divided in to two groups: the Inner (east) and the Outer (west). The Outer Hebrides, also called the Western Isles, include Lewis and Harris, North Uist Benbecula, South Uist, and Barra. 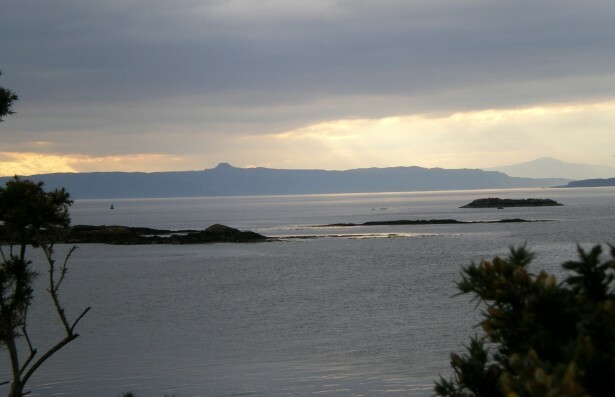 The islands of the Inner Hebrides are Skyle, the Small Isles (Canna, Sanday, Rhum, Eigg, and Muck), Tiree, Mull, Colonsay, Jura, Islay, and Coll. September’s trip will include the Isle of Skye in the Inner Hebrides, and the Isles of Harris and Lewis in the Outer Hebrides, but more on that later on. This entry was posted in Ancestry, Eco-travel, Ecology, Land trust, Scotland, Scottish ancestry, Travel, Uncategorized and tagged (Sir Peter Maxwell Davies, Hebrides, Scottish folk themes in classical music, Western Isles. Bookmark the permalink.